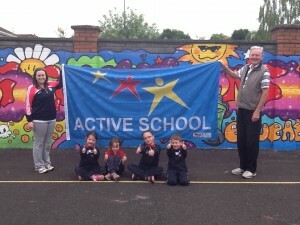 Ard Rí is a recently established Community National School, opening its doors in September 2010. Our school community has grown steadily over of the years, enrolling one class of Junior Infants in each year of development. We have grown from having just 7 children enrolled in Junior Infants in September 2010 to having 228 children in September 2018. We have created an entirely inclusive and respectful learning environment where all children regardless of nationality, race or creed feel valued and nurtured in their development. Ard Rí CNS is first and foremost a school. Our main aim is to provide the best quality education to the children in our care. Children of all religious beliefs and none; have those beliefs nourished within the school day. Our starting point in everything we do is not what separates us but rather what we have in common; which provides an infinitely stronger basis on which to develop a learning community. The principles of active tolerance and mutual respect are the cornerstones on which our school community is built. The school name ‘Ard Rí’ means ‘High King’ in Irish. We are located in the heart of the Boyne Valley, only a few hundred meters from the River Boyne. The Hill of Tara, which is where the ancient High Kings of Ireland sat in Celtic times, is on our doorstep. It is said also that the legendary Salmon of Knowledge was caught from a pool in the river under a hazel tree near the end of our lane. We love to instil a good knowledge of the heritage of the area into our students and we visit The Hill of Tara regularly. Ard Rí CNS is temporarily located on the grounds of Navan Rugby Club at Balreask Old. It is envisaged that the school will move to a site in the Navan area in the coming years.